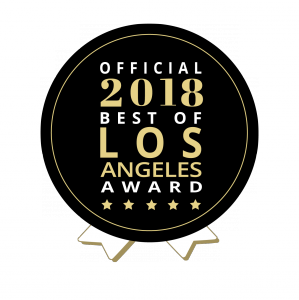 LOS ANGELES, CA, UNITED STATES, October 12, 2018 /EINPresswire.com/ — Clay Clark, founder of Thrive15 and creator of the “Thrivetime Show – Business School Without the BS,” wins Best of Los Angeles Award- “Best Business Podcast- 2018”, according to Aurora DeRose, award coordinator for the Best of Los Angeles Award community. “The mission of the community is to celebrate the best of Los Angeles, and allow its community members to connect with other members who share the highest standards of quality and integrity,” expresses DeRose. 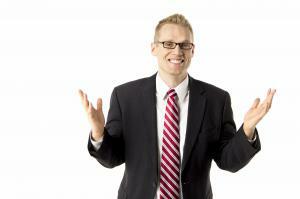 "We're honored to include Clay Clark of the Thrivetime Show into our BoLAA family." A man of many talents, Clark has been called the “Jim Carey of Entrepreneurship.” He was “Metro Chamber of Commerce Entrepreneur of the Year” at the age of 20 and the “U.S. Chamber National Blue Ribbon Quality Award Winner” at the age of 27. As the result of his tireless tenacity and endless work ethic, he’s been able to found and co-found several companies including: DJ Connection, Elephant in the Room Men’s Grooming Lounge, and Thrive15.com. The Thrivetime show allows viewers to “Experience business school without the BS” with Clark and his co-host: optometrist turned business tycoon Doctor Robert Zoellner. This award-winning team has been featured on Forbes, Fast Company, Bloomberg, and Pando Daily. Clark, who over the years has also worked as a business growth consultant, educator, and entertainer of choice for countless clients, continues to push himself. “Success means sustainably achieving my goals in the areas of faith, family, finance, relationships and fitness.” Clark concludes.